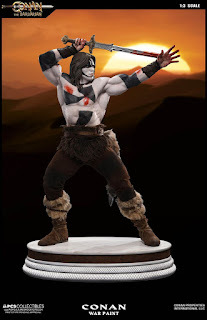 Between the years when the oceans drank Atlantis and the gleaming cities, and the years of the rise of the Sons of Aryas was the Hyborian Age. The Vanished Age. The Age of Conan. 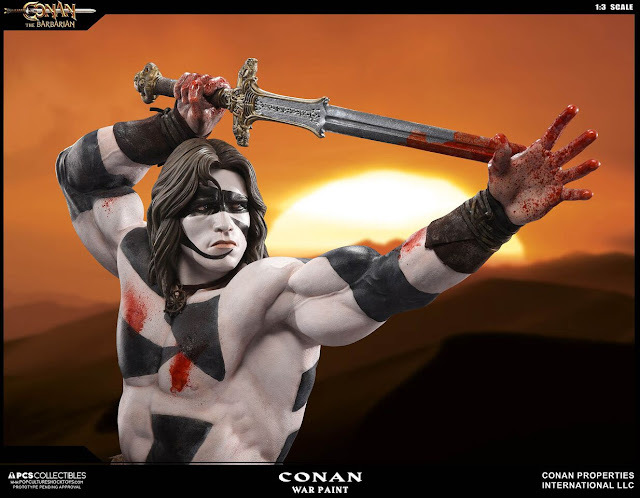 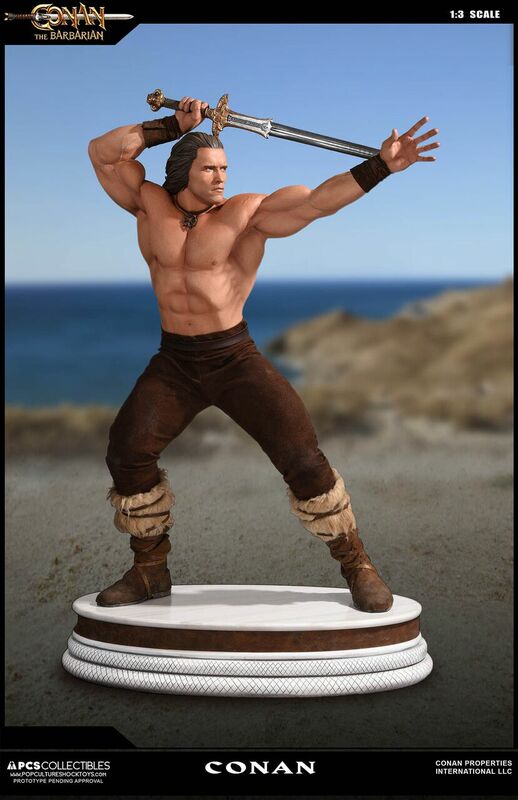 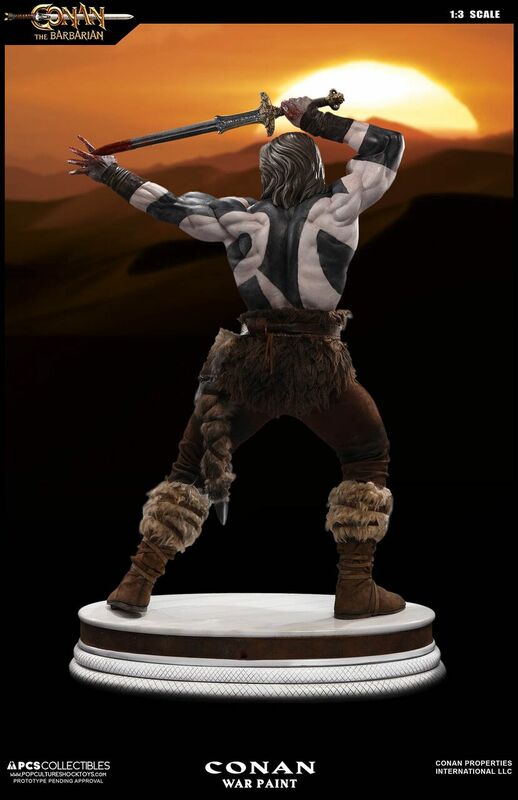 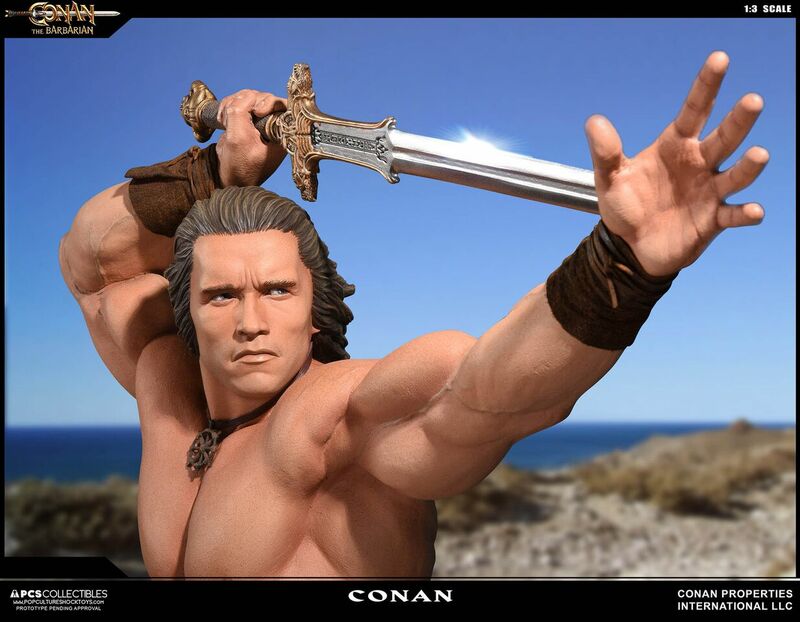 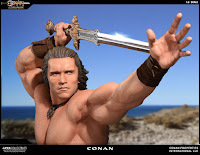 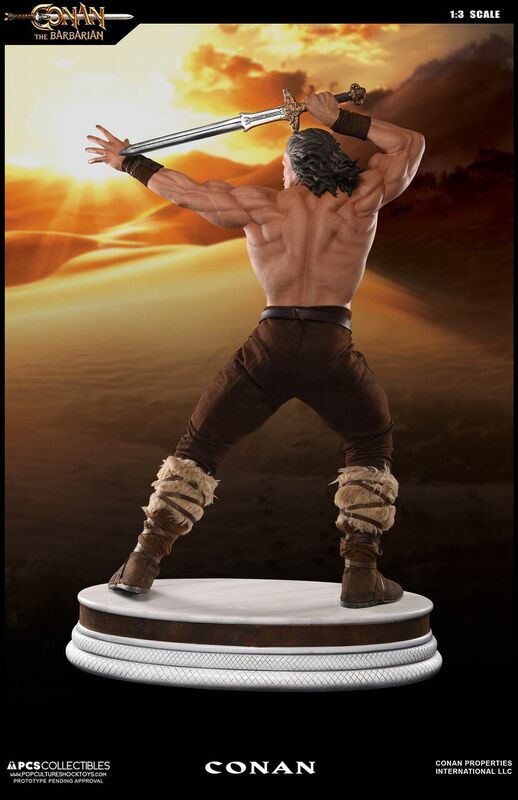 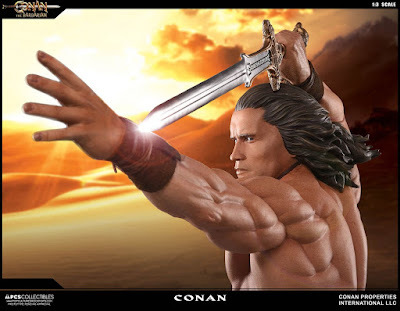 Pop Culture Shock Collectibles is proud to present their first piece of Robert E. Howard’s battleborn Barbarian, the greatest of the Cimmerians, Conan, as depicted by Arnold Schwarzenegger in the role that launched his career. 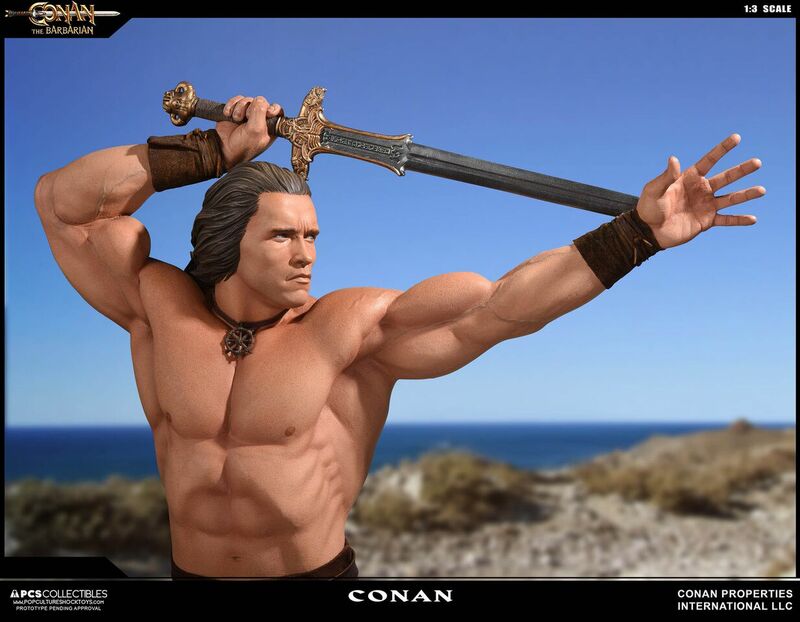 Arnold himself might agree, personally approving it without a single note. Hand crafted by PCS artisans in high-quality polystone, the cloth, leather and fur elements of his costume have been faithfully reproduced in mixed media, Atlantean Sword glimmering in polished metal, Wheel of Pain medallion hanging from his neck. 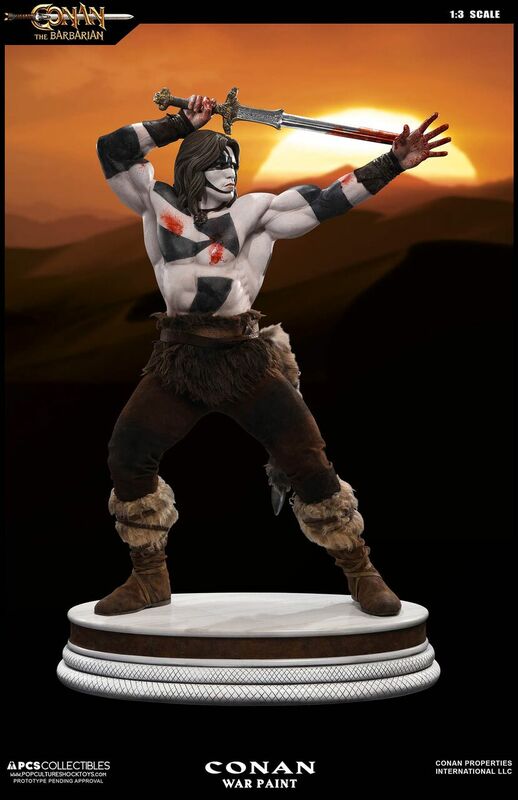 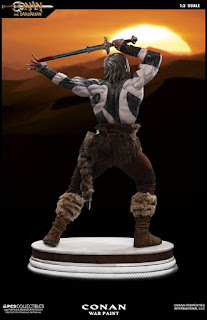 Produced in both a Classic and bloody War Paint versions, he stands almost 2 ½’ tall (74cm) , posed on a lustrous marbled base in the film’s most iconic pose. The ultimate Conan piece, a work to stand out in any collection, it will be available on PopCultureShockToys.com, 06.06.16 at 3:00 PM, PST, and nowhere else. 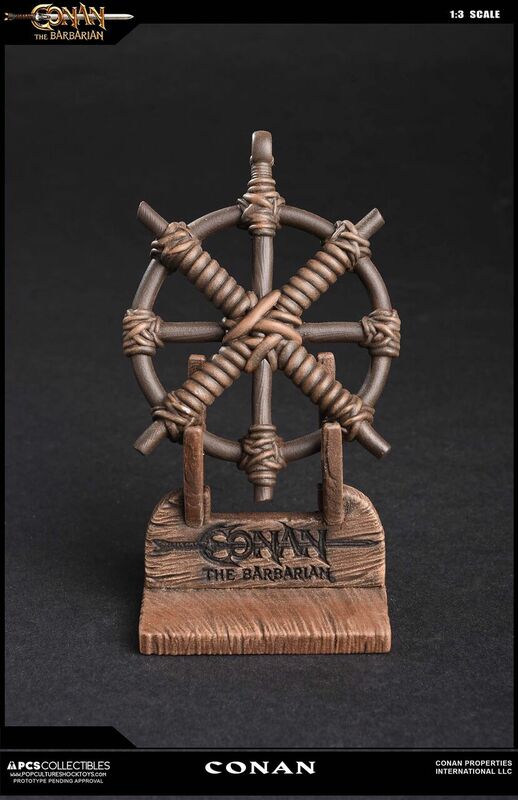 - Includes both Classic and War Paint Statues, plus a lifesize 'Wheel of Pain' pendant.